The fortunes of the Mac platform drastically changed 10 years ago, with the release of a simple CD. 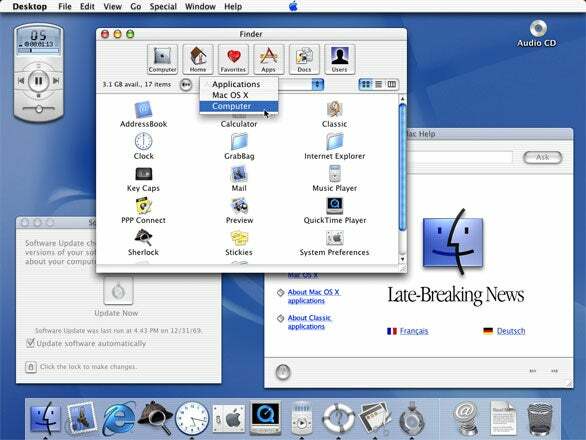 On Sept. 13, 2000, Apple released its Mac OS X Public Beta, a limited-time trial run of the ultra-modern, groundbreaking operating system that would replace the old Mac OS. Priced at $30 for a CD distributed via Apple’s online store, the beta gave the general public their first taste of an operating system that would go on to win popular acclaim and attract scores of Windows users to the Macintosh. Mac owners have been living with OS X for some time now, and Apple has come a long way from those dark days of the late 1990s when the company simply struggled for survival. It’s easy to forget in an age dominated by iPhones, iPads, and other Apple successes, but the company saw some tough times more than a decade ago. True, it had the success of the iMac on its side. But new hardware only gets you so far when the software that runs on it is built upon an ancient and creaky foundation. To that end, it’s hardly going out on a limb to suggest that Mac OS X wound up being a key driver in Apple’s comeback story. At the turn of the 1990s, Apple could confidently say it had the best desktop OS in the consumer PC marketplace. But the launch of Microsoft’s Windows NT in 1993 and Windows 95 (the latter of which proved wildly popular) put Apple’s once-rightful claim of OS superiority on shaky ground. Apple found itself in an especially vulnerable position as the once revolutionary Macintosh OS, first released in 1984 but only incrementally improved since then, suddenly looked very antiquated. Apple’s life flashed before its eyes, and the once mighty computer company found itself forced to confront its own mortality—a mortality that would surely be tested if something didn’t change. This fundamental insecurity on Apple’s part launched a long, drawn-out, and ultimately mismanaged search to supplant the Classic Mac OS with a modern replacement. Top features on the wish list for the new dream OS included protected memory (to prevent system-wide crashes) and pre-emptive multitasking (to end embarrassments like having a floppy reads slow down or freeze the entire system temporarily). The search became epic as it spanned three Apple CEOs and a half-dozen or more OS candidates from both within and without Apple. The process finally came to an end in 1996 when Gil Amelio, then CEO of Apple, selected technology from a company called NeXT over that of former Apple executive Jean-Louis Gassée’s company, Be, whose OS was then in development. Apple co-founder Steve Jobs started NeXT in 1985 just as he found himself forced to resign from Apple. Jobs sought a quick rebound with a fresh new company and began assembling a team of talented engineers and programmers (many culled from Apple, much to that company’s chagrin) to craft the ultimate research workstation. While seeking the fundaments of an advanced operating system to match NeXT’s ideas for innovative hardware, a new approach to UNIX architecture caught the eye of Jobs and his team. It was an experimental OS kernel christened “Mach” that was under development by graduate students at Carnegie Mellon University. The most prominent of these students was a 24-year-old named Avie Tevanian, who had begun the Mach project as part of his PhD in Computer Science. A kernel lies in the heart of every computer operating system. It is a piece of software that controls the most basic functions of the computer and serves as an intermediary between the hardware and higher level software that runs on top of it. Tevanian’s Mach kernel was unique for its time in that it gained added functionality from pre-compiled modules that could be shifted around and updated without the need to start from scratch every time the kernel author added new features. To put it simply, this gave Mach a far more flexible and modern structure than previous UNIX-compatible kernels, and it was this novel quality that attracted Jobs’s attention. It wasn’t long before Tevanian found himself working for NeXT and developing a new graphical operating system around the kernel he developed at CMU. NeXT’s OS felt similar, superficially, to many GUIs before it, but beneath its surface lay fundamental differences gained from its object-oriented nature, its advanced display capabilities, and its UNIX underpinnings. NeXT called the resulting product “NeXTSTEP,” and the OS made its debut along with the NeXT Computer in 1988. The NeXT Computer was a startlingly advanced machine for its time, but a very high price held it back—even for NeXT’s target market of academic research. NeXT’s hardware business struggled along for the next few years, and Jobs eventually pulled the plug on the company’s computer line. He decided to focus entirely on software, especially the company’s much admired NeXTSTEP OS. NeXTSTEP evolved further in the early 1990s, gaining versions for multiple non-68K processors like SPARC and Intel’s x86 line. NeXT also decided to split off NeXTSTEP’s object-oriented programming system into a product called OPENSTEP that could run on top of other OSes like Solaris and Windows. Jump back to 1996, when Apple was looking for a replacement OS. Steve Jobs heard of this search and pitched NeXTSTEP to Apple executives. They liked what they saw, and in December of 1996, Apple announced it was purchasing NeXT with the goal of using NeXTSTEP as the foundation of a new Macintosh OS. Along with the announcement came news that Steve Jobs would be taking an advisory role in the company. In a stunning turn of events, the founder was back. It wasn’t long before Jobs found himself in the driver’s seat of Apple as interim CEO. He appointed his trusted and accomplished NeXT brethren to important posts within Apple, including Avie Tevanian, who became vice president of software engineering. Jobs cut dead weight in stagnant product lines and steered Apple toward calmer seas. Apple engineers quickly began work on a new OS for Apple based on an older one: they used NeXTSTEP 4.2 as the starting point and began a three year process of Apple-ization that would transform the advanced but generally unknown UNIX-based OS into a consumer operating system that anyone could use. The project gained a code name—Rhapsody—which stemmed from Apple’s mid-1990s penchant for using classical music themed names for OS prototypes. The goal of Rhapsody was to take the NeXTSTEP’s robust foundations and overlay a look and feel that would be familiar to long time users of the old Mac OS while also retaining some measure of backward compatibility. It wasn’t long before Apple developed a prototype that functioned mostly like NeXTSTEP but possessed graphical elements borrowed from the “Platinum” theme of Mac OS 8. Apple put this version, called Rhapsody Developer Release, into the hands of developers in August 1997 so they could begin porting software over in preparation for the great OS transition. But all was not well. Apple met significant resistance to the new OS from Adobe, a key developer who produced graphic design tools that were so vital to the design-centric Mac user base. Apple originally wanted to channel all new development for Rhapsody through a programming system they called “Yellow Box,” which was essentially an updated version of the OPENSTEP development environment from the NeXTSTEP days. Yellow Box would have allowed applications developed for Rhapsody to be easily ported to other operating systems (like Windows) and even between processor architectures like PowerPC and x86. Unfortunately, developers would have had to abandon any investment they put into building Classic OS applications; all Rhapsody versions of Mac software would need to be re-coded from scratch. Adobe balked at Apple’s plan for Yellow Box and refused to port its software over to Rhapsody. This lack of support from a key third party developer, in addition to grumblings from other developers, ultimately sent Apple back to the drawing board, and after a few more developer-only revisions, Apple pulled the plug on their original Rhapsody plan in 1998. Rhapsody wasn’t truly dead, however. In its place came murmurs about “Mac OS X” (X being the roman numeral for 10, making it the clear successor to a planned classic OS release). Under the name Mac OS X Server 1.0, Apple released the first and only commercial version of Rhapsody in March of 1999. It retained the classic platinum interface of OS 8 (and the Rhapsody prototypes) but its heart beat with the rhythm of NeXTSTEP. By 1999, the public knew about the shift from Rhapsody to OS X, along with vague notions about the under-the-hood changes involved. What the public didn’t know was that, since the summer of 1998, Apple had been secretly developing a vibrant and fluid new graphical interface for Rhapsody named “Aqua.” It was during Aqua’s development that the philosophical shift from Rhapsody to OS X took place. Steve Jobs unveiled Aqua to the oohs and aahs of a stunned audience, jaws agape, during his January 2000 Macworld Expo keynote speech. The delighted, newly full-time CEO—Jobs also dropped the “interim” label from his iCEO title that day—spent a large portion of his presentation demonstrating graphically stunning new features of Aqua, including the “genie” minimize/maximize effect, Dock magnification, and lushly illustrated, high resolution icons. The world had never seen anything like it, and Apple found itself—for the first time in at least a decade—with an operating system that people could not wait to get their hands on. In September of that year, Apple obliged. According to Tevanian, the company knew that for a release as important, dramatic, and different as an entirely new OS, the company couldn’t just keep the beta testing process under wraps. Apple needed to get the OS out into as many hands as possible so ordinary users run it through its paces in ways the company itself couldn’t imagine. Apple set the price of “Mac OS X Public Beta,” as it was called, at $29.95—low enough for anyone could get it if they wanted, but high enough to exclude folks who might not be constructive to the beta testing process. The beta sold through Apple’s online store; the company later offered a $30 discount on the first full release of OS X (v10.0) when it shipped in 2001. 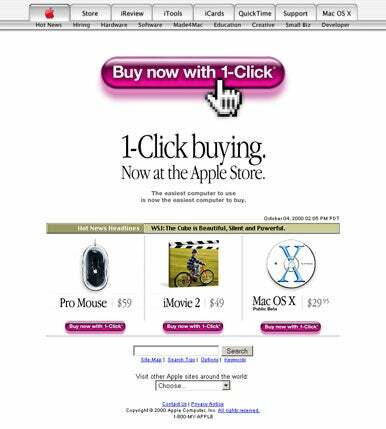 Back in 2000, Mac users could order Apple’s $29.95 OS X Public Beta through the company’s online store. When users got their hands on the Public Beta, reviews were mixed but optimistic. It was obvious that OS X represented a promising future for Apple, but the company still had a long way to go in terms of producing a fully mature OS. Apple collected bug reports and ideas for its new beta through an Internet-enabled suggestion box in the Apple menu. As usual, it was the third-party developers, entrenched in their familiar Mac programming ways, who needed the most convincing. A big part of Apple’s post-Rhapsody development approach was to emphasize a combination of the seamless “Classic” system environment (that would run all classic OS apps) and a new Carbon API that would allow easy porting of classic OS apps to OS X. Thanks to those changes, developers started to come around. ; Apple had finally made it easy and attractive enough for them to convert their applications to the new OS. These days, OS X is a widely admired phenomenon that has been through many iterations and updates. It is the heart and soul of Apple’s software strategy, and in hindsight, OS X proved to be an essential investment to ensure the continued viability of the Macintosh platform. It continues to fill its duties quite well. But how long will it last? Tevanian, who left Apple in 2006, is surprised and delighted at how flexible OS X and his clever little kernel (part of which still resides in OS X today) turned out to be. After all, he says, OS X runs on a wide range of hardware, from industrial strength servers to desktops to even iPhones and iPods. Apple had a 20 to 30 year lifespan in mind for OS X during its development, says Tevanian, but he suspects its fundamental underpinnings may last even longer. Only time will tell. Ultimately, all operating systems become obsolete, but for now—even ten years after its commercial debut—we’re still living in the golden age of OS X.